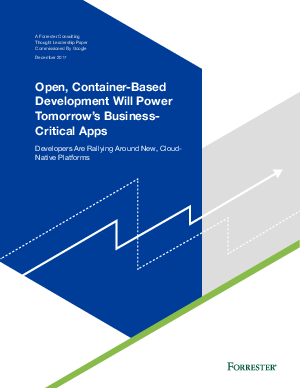 In this Forrester Consulting report commissioned by Google, it explores cloud development approaches, preferences, challenges, and benefits among development and IT leaders at global enterprises. Among the key findings, it was clear that cloud is on its way to becoming synonymous with modern and innovative when it comes to applications. It also shows that application developers seek more agile tools with containers and functions that enable greater flexibility.